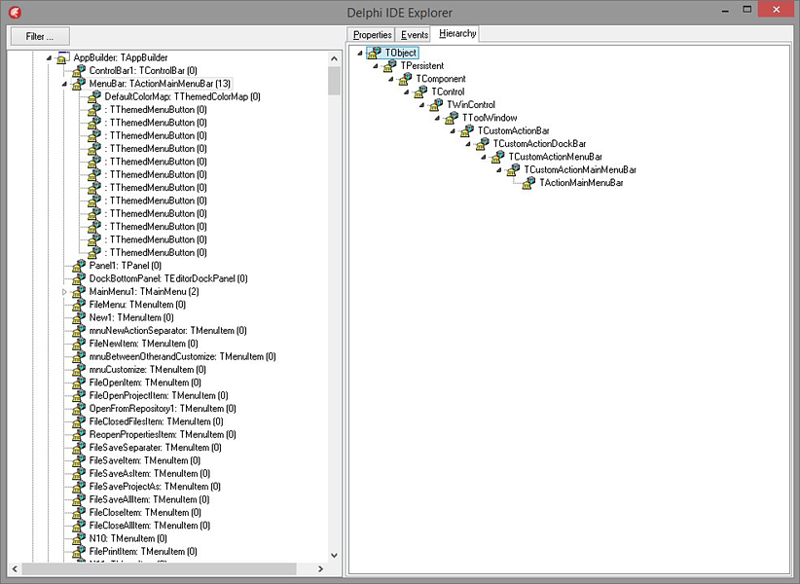 Expert for Embarcadero Delphi that gives access to internal components. 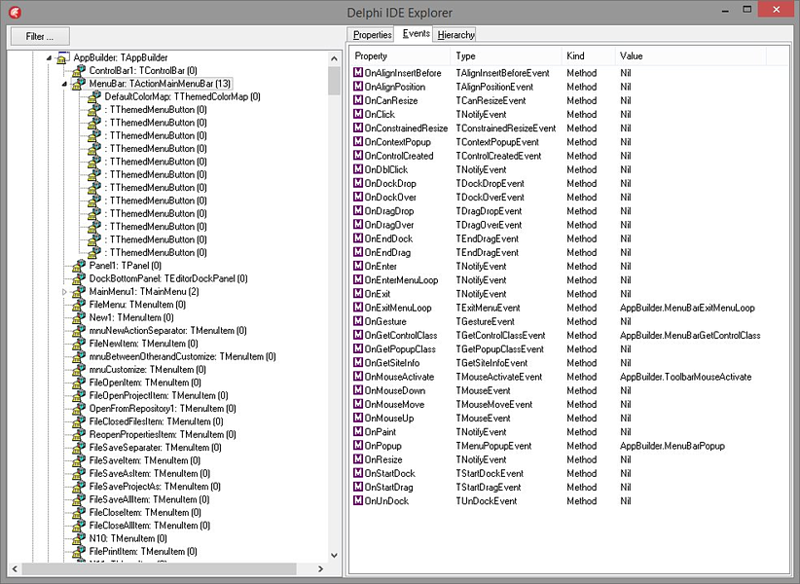 It runs as an expert within the IDE process and the window is always active, even if a different IDE dialog is shown modally. 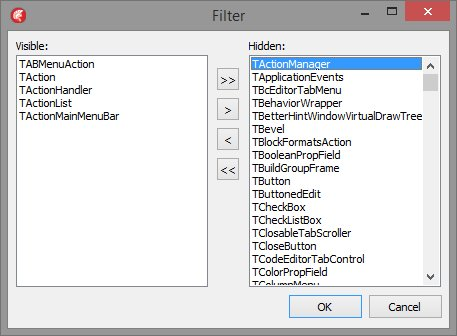 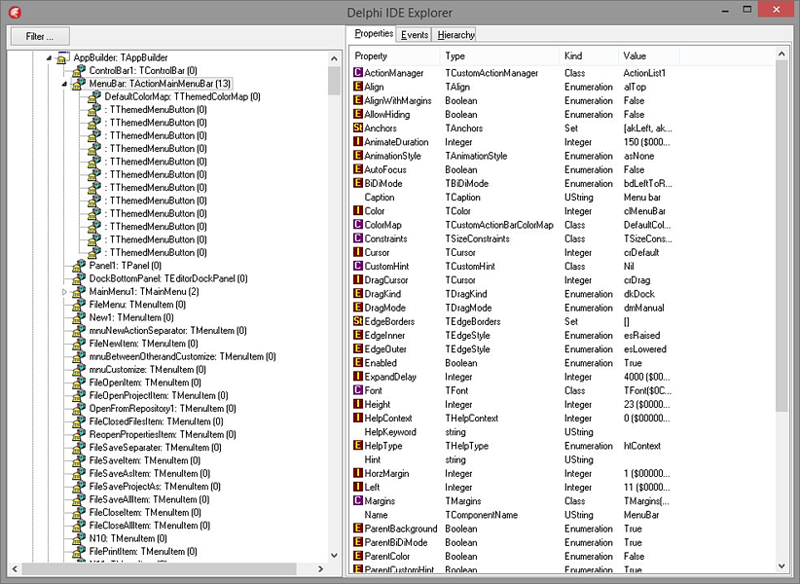 It is based on David Hoyle's IDE expert for Delphi 3/4/5 but has been extended to access more properties and to filter on component types.